Without hesitation, we decided to apply for the lecture part of the event and start our one-day adventure in Gliwice. We can certainly recommend this event to you for many reasons, and there’s one more bonus: no matter the budget, you can apply for participation, as this high-quality (obviously!) conference is free. How amazing is that?! As you can see from the picture below, the first impression was a little bit scary :). Gliwice is a city located in the region of Silesia, Poland’s mining industry capital, as you may notice below. 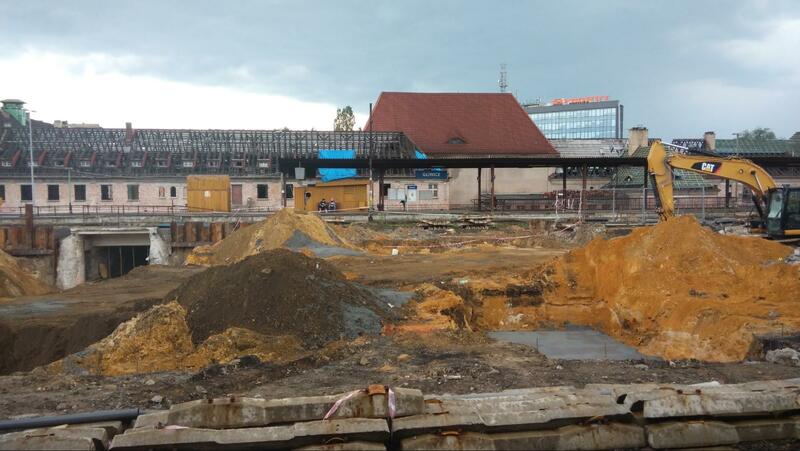 Just kidding - that’s a railway station under construction. There was a general overhaul of the city taking place. Fortunately, the venue was located near the main station - a perfect choice for visitors who hadn’t yet been to Gliwice. After a rough first impression, it only got better, but… don’t take my word for it, check it out for yourself! We really didn’t expect such a great welcome - we’d decided to bring our own food along, but quickly gave up the idea of eating our supplies. The catering was well planned - from sandwiches, coffee and tea to sweets and juices. And that was only the beginning! 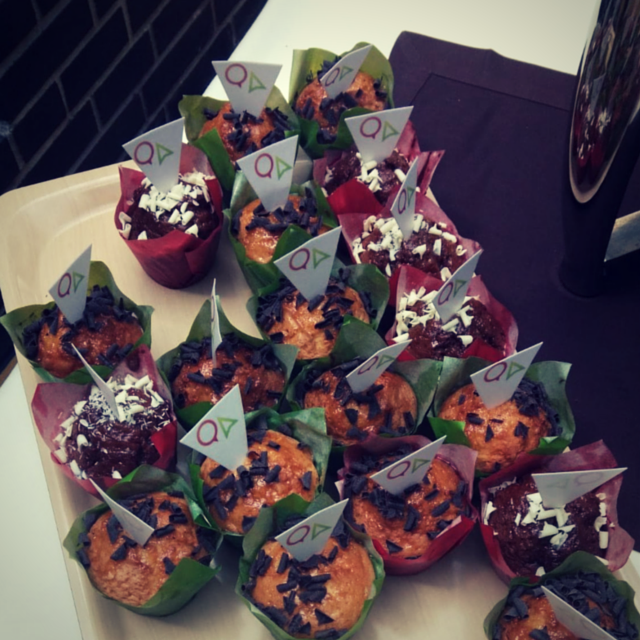 After the first break, we came across muffins decorated with the conference logo which was… a real cherry on the top! There is always one more bug… This was the title of the first lecture. We think this is a great metaphor for the work of every tester. In each piece of software, there are errors that bring greater or lesser consequences for users and of course for the authors. Mateusz Kocielski presented several cases where bugs caused financial losses or even the death of the users. The most memorable was the story of THERAC-25, a radiation therapy machine used in the 80's. Because of programming errors, THERAC-25 from time to time gave its patients radiation doses that were thousands of times greater than normal. Can you imagine what this could have done to a person? The consequences were mind-boggling. As a result of this, six patients were burned and some of them passed away. This case perfectly illustrates the importance and responsibility of each tester. On a lighter note, thanks to this presentation, we learned where the term ‘bug’ came from. When Grace Hopper was working on a new computer, a moth got into the computer and caused a failure in its functioning. And so the bug was born! This lecture was very inspiring. It confirmed our beliefs that our work is important and we can change the world! The first and second set of lectures were really exciting. The place was filled with people and soon enough the best seats were taken. There were loads of interesting topics, all of which you can easily find in the conference agenda, but we decided to share the most remarkable (in our humble opinion) lectures. 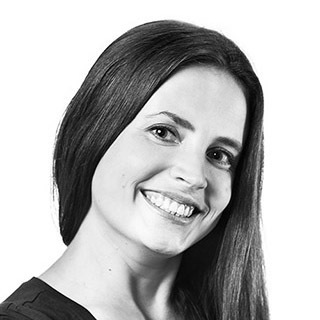 The presentation which was particularly relevant to me was “User Stories Refactoring” presented by Kasia Mrowca. The speaker raised a very interesting issue - how to prepare user stories to make everyone happy and how the tickets shouldn’t look. This is really important from my point of view due to the fact that tickets should be useful and easy to catch mostly for QA and developers - because it’s our everyday tool at work. The next aspect that we need to remember is to make user stories not too big yet not too small - this means that one user story should include a functionality which can easily be checked. Moreover, we should attach acceptance criteria (which is very often neglected) to each user story. Thanks to this best practice, a QA specialist would know when a user story is completed and working as expected. And the last but not least is a piece of advice to introduce some nice practices to the company - making some kind of review of user stories. From time to time it’s good to let other product owners/project managers take a peek at the tool with tickets and let another pair of eyes decide if the user stories are clear and the content makes sense. It’s also beneficial to make sure that we don’t put into backlog and develop functionalities which nobody really uses. I was really proud because at Netguru we perform a kind of review which is called Pivotal Tracker review but... this is a topic for another blog post! So far, we summed up all our review procedures in one article. The most interesting presentation for me was Specification by example in practice presented by Krzysztof Trzewiczek. This was about how Gherkin language can be used by business analysts to create a specification that connects development and the business world. A big advantage of Gherkin is that it describes the software’s behaviour without technical details.The speaker said that it is really hard to encourage businesses to use technical solutions. However, it is possible. a specification describes the structure of the system, not the business rules. The author listed some ways of resolving these problems. In my opinion, the most important idea is to separate business from a user identity, discovering the hidden opportunities already contained in the written specifications. I am very pleased that the topic of the Gherkin language was raised during the conference. It was the first language which I came across during the implementation of automated tests. It was great to see how I can make it better. During the breaks from obtaining valuable knowledge, there was the chance to chat with other specialists from our profession, or just enjoy the views and the buffet. What drew our attention was the board with an invitation to share ideas. The writing on the paper read The features of good Testers and everyone was invited to leave their suggestions. We saw plenty of useful stuff, for example, intelligence, precision and... pessimism! Another board encouraged people to express themselves with the question What does quality mean to you? Finally, our time ran out and we needed to come back to Poznań. Unfortunately, we hadn’t managed to see all the lectures but we cannot wait for the presentations and scripts from the organizers. Let’s include a short overall review from us - we don’t want to be anonymous any longer :). 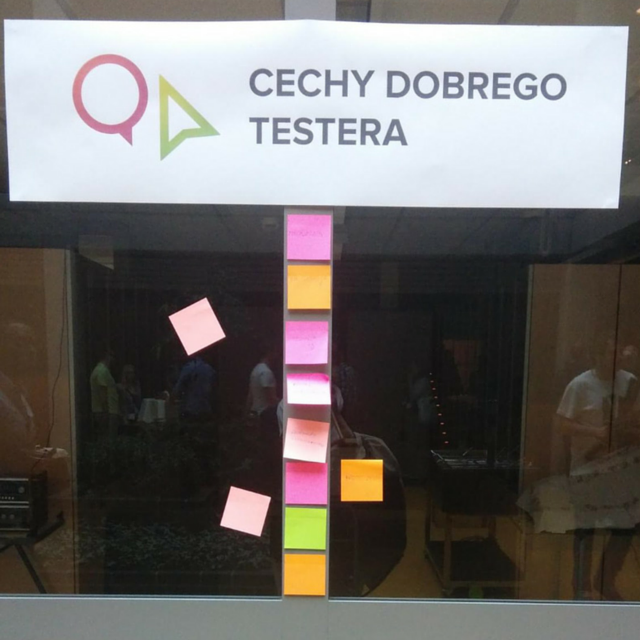 According to the ranking events (testerzy.pl) for QA, Quality Excites came second. I agree with the statement that this is one of the best conferences for testers. Everything seemed great: the location, organization, lectures and, of course, the people. There was something for everyone among the lectures, workshops, and open discussions. I think that the presentations were of a high standard. You could get useful knowledge and implement it in your own work. Quality Excites was certainly an event worth visiting. I was really delighted by the planning of the whole event. Everything was spot on right down to the last gaiter button. The schedule was running smoothly and with no delays. Some of the presentations were not really my cup of tea (because of the various technologies presented) although I really appreciated the variety and the fact that all participants could find something useful for them! We hope that we will manage to attend the upcoming edition of Quality Excites. See you there next year! Have you ever participated in a bug bash? It's a quick and effective way to test applications, plus, it can be fun! Check out these tips and tricks on running a successful bug bash.